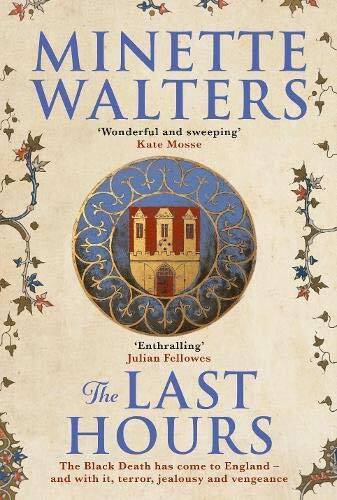 Author Minette Walters will be at Dorset History Centre in Dorchester on Thursday 8 February 6.30pm for 7pm to discuss her new book The Last Hours – a story of the Black Death in medieval Dorset. Award-winning crime novelist Minette Walters will talk to Carola Campbell about her recently published first novel in 10 years and her first venture into historical fiction. She became fascinated by the Black Death after learning that it entered England through the port of Melcombe Regis (Weymouth) only nine miles from where she now lives. This is a fascinating opportunity to hear the inspiration behind this new novel rooted in the history of a catastrophic event for the whole country which started in Dorset. Minette Walters’ first novel The Ice House was published in 1992. The author of 17 books, she has sold over 25 million copies of her work and is the recipient of many awards. She will discuss The Last Hours with Carola Campbell, chairman of Dorset Archives Trust, after which the audience will be free to pose questions. Tickets £10, members £8 including canapés and a glass of wine.